We are delighted to work with the ILM and offer ILM programmes in Coaching & Mentoring. These offer the opportunity to really stretch and develop people whilst working on a recognised qualification. Click here to view the programmes or call us to discuss these in more detail. We have a range of coaching & development tools based around our research into this fascinating topic. 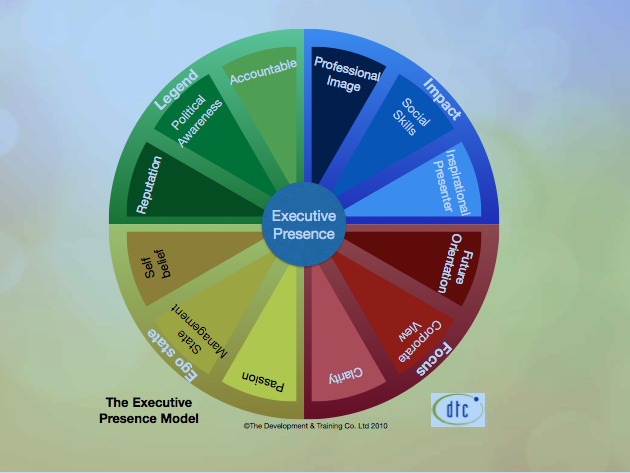 Click here to read about our approach to executive presence or to receive a detailed copy of the model that underpins our executive coaching and our development programmes. We are a consultancy team that helps executives, leaders, teams and businesses to stand out from the crowd. We are strongly business focussed and are proud of the great results we have achieved. We are passionate about business and idea development and love to share our thinking and expertise. Please feel free to browse and download any documents that may interest you. We look forward to hearing from you. We are a consultancy team that helps executives, leaders, teams and businesses to stand out from the crowd.